Great scientist, one of the pioneers of the American modern neurology, lover of philosophy and culture, philanthropist. 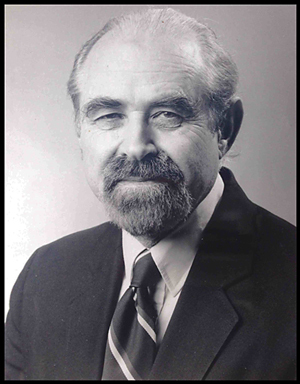 Maynard M. Cohen, MD, PhD, professor and chairman emeritus in the Department of Neurological Sciences at the Rush-Presbyterian-St. Luke’s MedicalCenter in Chicago, and past AAN president, died on Feb. 18, 2014, in Miami in his 94th year. As the world-renowned neurologist, he was the U.S. delegate to the World Federation of Neurology (1985-1989). At the delegates’ preparatory meeting (1987) in New Delhi for the XIVth WCN, he strongly supported the organization of the symposium, proposed by Yugoslav and Indian neurologists: “Neurology in Developing Countries” during the New Delhi WCN in 1989. After the successful symposium, in which our respected friend gave a beautiful contribution, the then-WFN President Richard Masland and the then-Chairman of the WFN Research Council John Walton proposed to form a new Research Group on Organization and Delivery of Neurological Services (WFN RG ODNS) in order to search for best solutions in delivery of neurological services around the world (both in industrial and developing countries), respecting local and regional, social and economic conditions. Cohen accepted to serve as secretary treasurer of the new research group, participating in the new activities in the Federation. As co-editor of the book, he cared that contributions from less developed countries find a place in it. 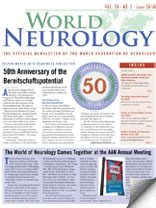 He concluded his own chapter with visionary words: “This symposium, the support of the World Federation of Neurology, and the formation of the Research Group on Organization and Delivery of Neurological Services are but the initial steps. The larger task still lies ahead.” (Neurology in Developing Countries, B.I. Churchill Livingstone, 1991, p.75). Despite his years, he showed remarkable enthusiasm and energy as co-organizer of our meetings (New Delhi, Vienna, Marrakesh, Vancouver and others), as well as initiatives in many parts of the world. He organized an important symposium, “Ethical Problems in Neurology,” concerning problems in managing neurological ailments due to various cultural and religious traditions (XVth WCN Vancouver 1993), engaging the leading experts in the field from the U.S. and other countries of the globe. During his service (until 1995), he supported activities of the group. When we needed new, experienced colleagues for the organization, he proposed new active members for the RG Committee: Donna Bergen and Don Silberberg, who have stayed active in the WFN. His wife, Doris Vidaver, participated kindly with her experience in humanities and in medicine, especially in neurology. The World Federation of Neurology will memorialize his activities, for which he received in 1993 the WFN Certificate of Appreciation. They are now being continued also as an integrative part of the WFN mission and programs. Many neurologists active in those years still remember our early initiatives and the humane care of Maynard M. Cohen for people around the world. Bosko Barac, MD, DMS, is the founding chairman of the WFN RG ODNS (ret. ).